As embarrassing as it is to admit, pizza is pretty much a mainstay in my diet and surprisingly this is only the second pizza recipe I've featured on this blog (the first can be found here). 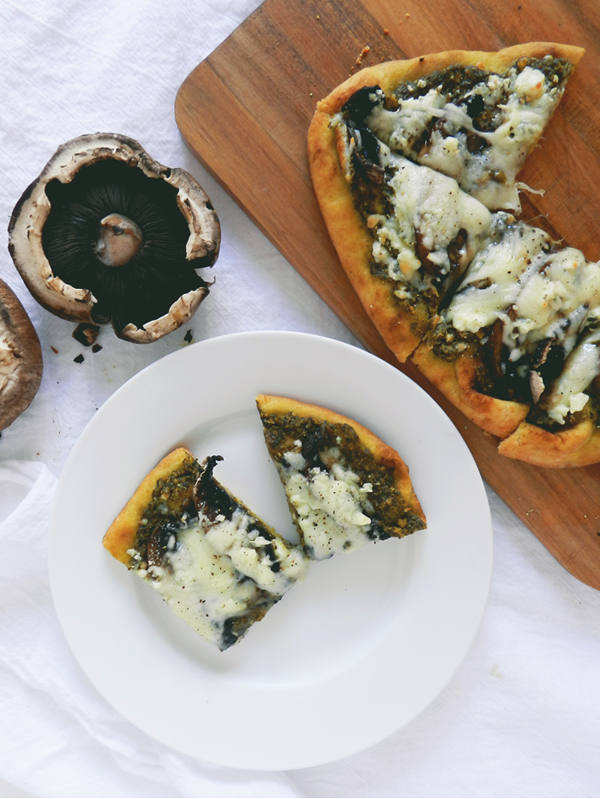 I'm not sure what it is, but as the weekend approaches I am always craving pizza, so I thought it would only be fitting to share this blue cheese and mushroom pizza recipe with you as the work week draws to a close. Despite the fact that pizza is far from being considered a 'healthy' food, I typically prefer thin crust varieties and most often opt for meatless toppings, which make for a slightly less guilty indulgence. This quick and easy recipe is one of my go-to options when I'm in the mood for something indulgent, but want to keep it light. The variety of cheeses you choose for shopping should be from different milks, such as cow, goat, and sheep. Plan on serving approximately one ounce of each cheese per person. Pizza is always a really good choice for dinner. I always liked serving pizza for dinner, because it is something that just about everybody likes. It is always so much fun to go out and try different pizza places. It is amazing to me how many different kinds of pizza there are out there. It seems like there are always too many choices when it comes to pizza.